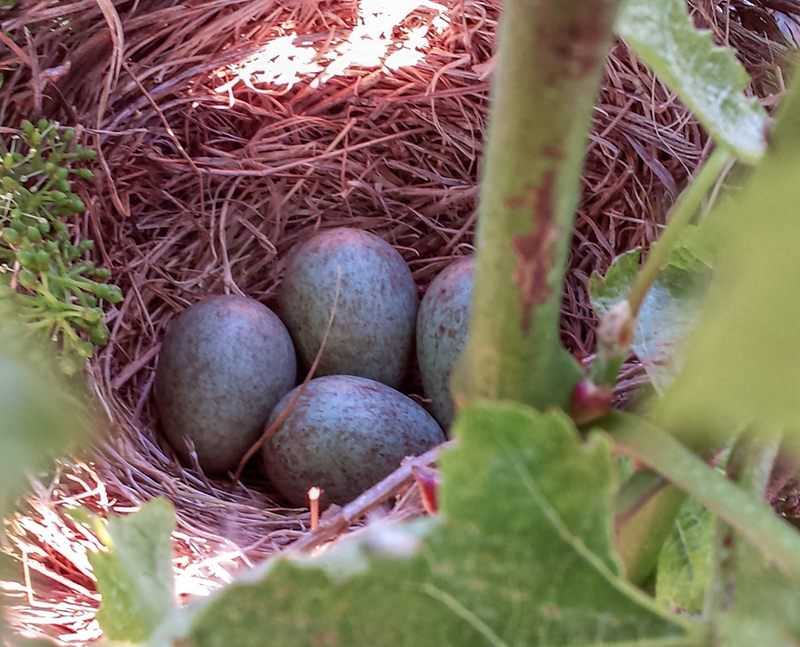 Looking carefully amongst the vines of an organic farm near Santanyí, I found a birds’ nest full of greenish speckled eggs. What a lovely sight. I cannot imagine a more convincing certificate of organic farming than the endorsement of the birds, possibly a family of mockingbirds. The photo was taken near Santanyí by Miquel Manresa; moltes gràcies. The date: May 16th, 2014.